A lightweight, sun-protective, 100% recycled polyester long-sleeved shirt with 2-way mechanical stretch that combines an urban-friendly aesthetic with active functionality. 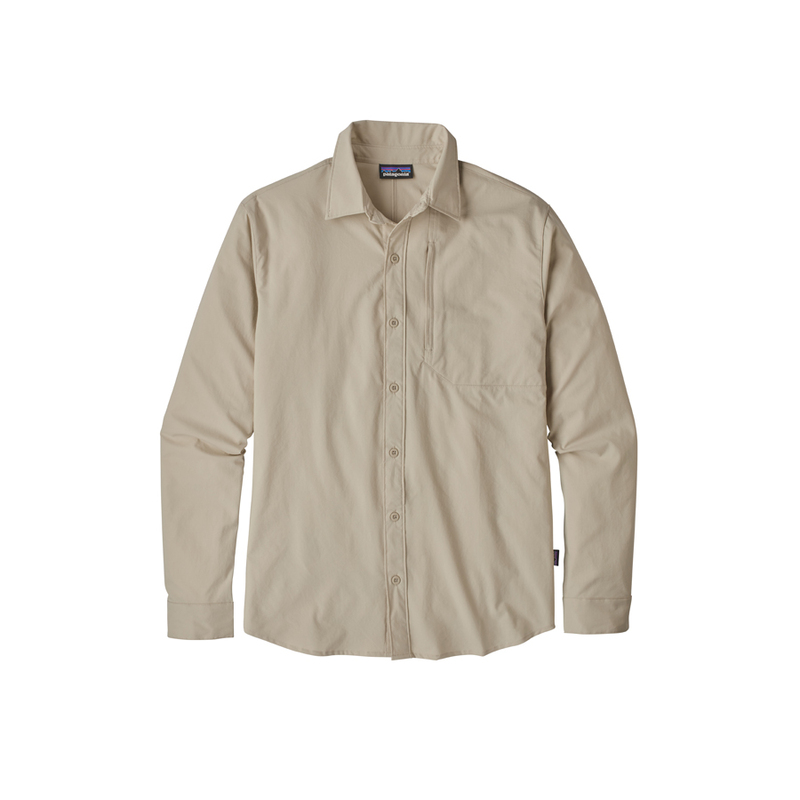 A long-sleeved performance shirt for hiking, trekking, travel and everyday life, the Skiddore is made of a super lightweight, fast-drying 100% recycled polyester stretch ripstop that provides 50+ UPF sun protection and sloughs moisture, thanks to a DWR (durable water repellent) finish. The button-front design has a lay-down collar to protect your neck and a left-chest security pocket that holds a passport. Sleeves are gusseted for movement and have eyelet venting to release heat; there's also venting across the back yoke. 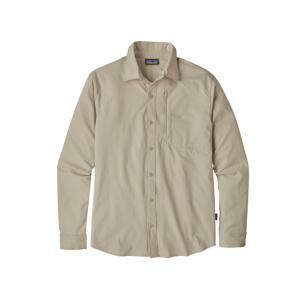 With adjustable button-closing cuffs and a shirttail hem that stays put under pack straps.